Men now have a good reason for diminishing the gender gap. It could make them healthier. No, we cannot prove causality. 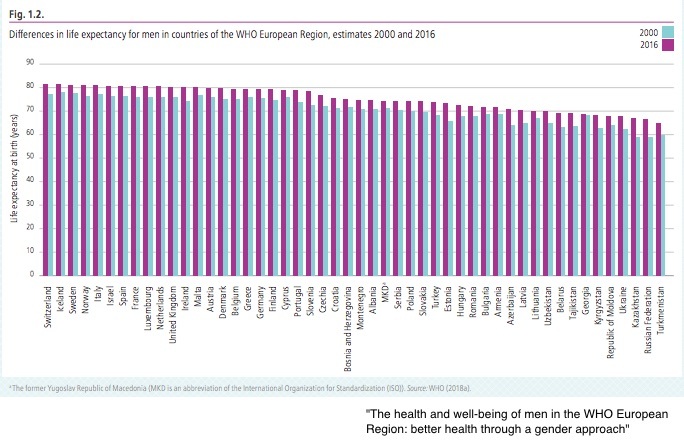 But we do know that European countries with more gender inequality will probably have less healthy men. The conclusion came from a new World Health Organization report. 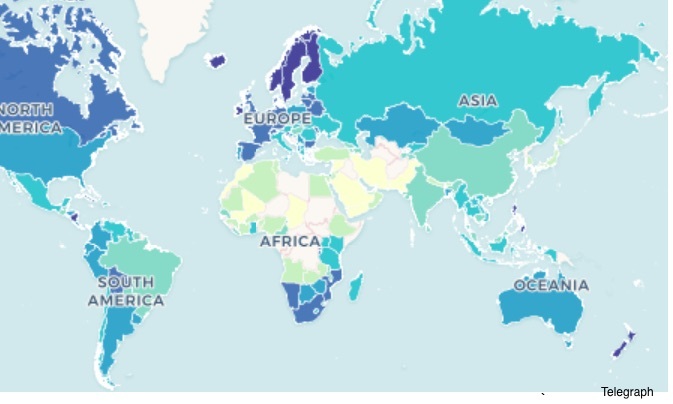 Telling us why, data from 41 European countries indicate that smoking, drinking, salt-heavy diets, and violence diminished male life expectancy. But not for all Europeans. 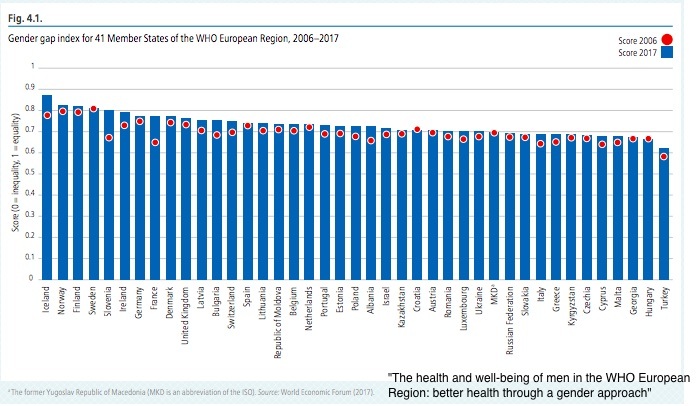 Looking at geography, we find smoking is the culprit in Western Europe while alcohol and drugs limit male lifespans in the East. In addition, the WHO report included a long list of non-contagious diseases. It took readers to suicide rates, and infectious diseases like tuberculosis. Then, after looking at intentional and unintentional injuries like road traffic deaths among men under 25, there still was much more. It all culminated though in one word: masculinities. The researchers concluded that certain masculine behaviors can be toxic. They cited the heavy drinking in the Russian Federation that can elevate a man’s social status in working class social groups. They discussed how being a breadwinner can elevate stress and hypertension. And they mentioned that men tend to under-use health facilities. So, it is not actually the inequality that is risky. Rather, masculine social norms nudge men into hazardous territory. However, in cultures with a smaller gender gap, men have less pressure to engage in unsafe masculinities. As a result, they tend to be healthier. We have always said that gender inequality constrains female human capital. Surprisingly, we now can add that men too contribute less because of the gender gap. 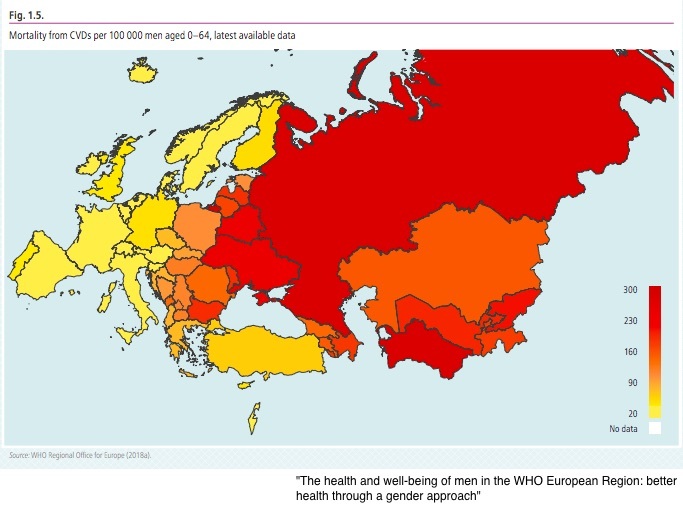 My sources and more: Thanks to Quartz for alerting me to the correlation between gender equality and male health. However, for the entire story, this very dry, factually overwhelming, WHO paper is for you.